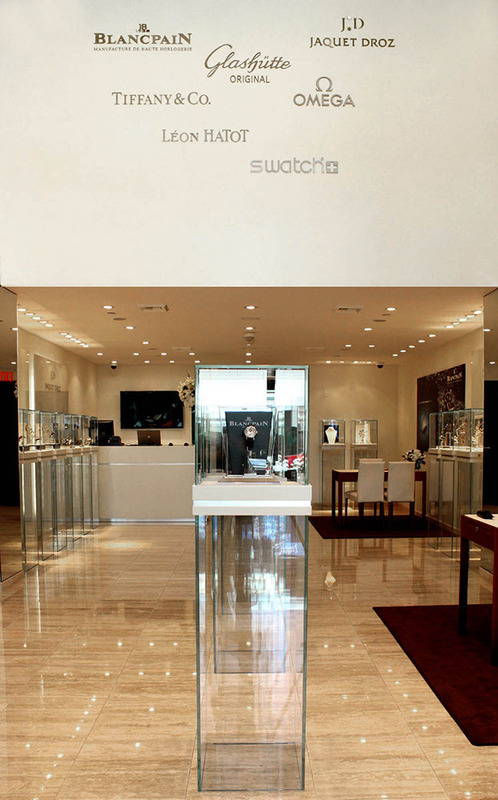 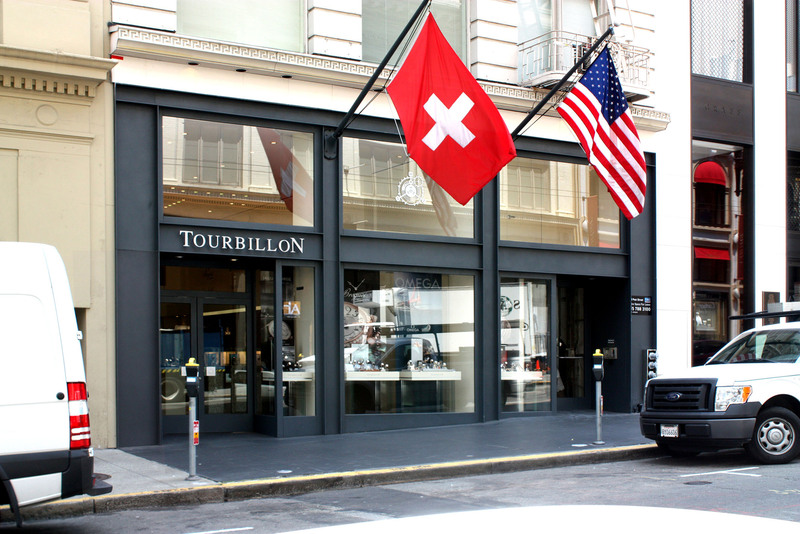 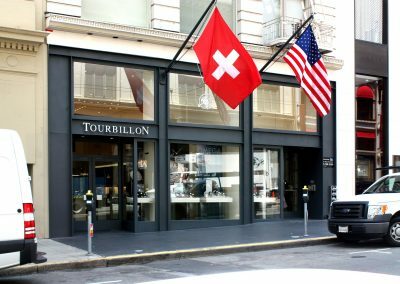 The Swatch Group markets a wide array of Swiss timepieces in their sleek, modern Tourbillon boutiques. 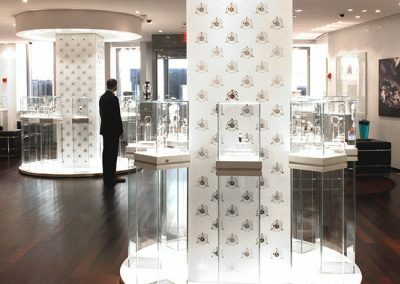 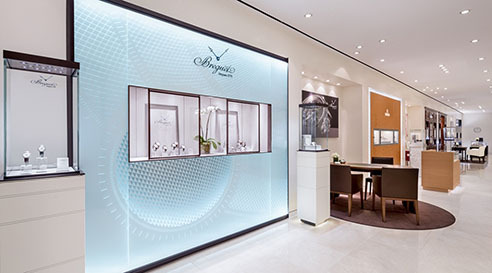 Customers can browse the vast selection of watches by Breguet, Blancpain, Glashutte, Jaquet Droz, Tiffany & Co., Omega, Leon Hatot, and Swatch. 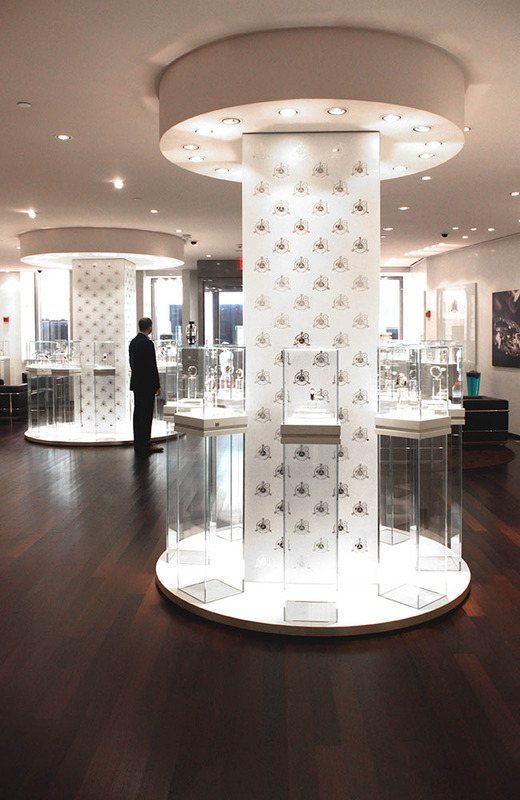 The palette of materials is kept to a minimum so as not to distract from the intricate handmade watches. 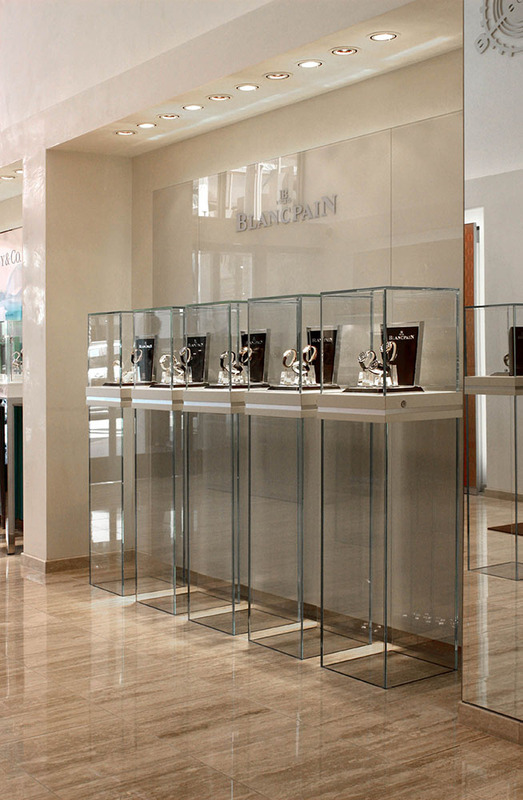 Venetian plastered walls are paired with dark wenge flooring to provide a luxurious backdrop for the European made glass display cases. 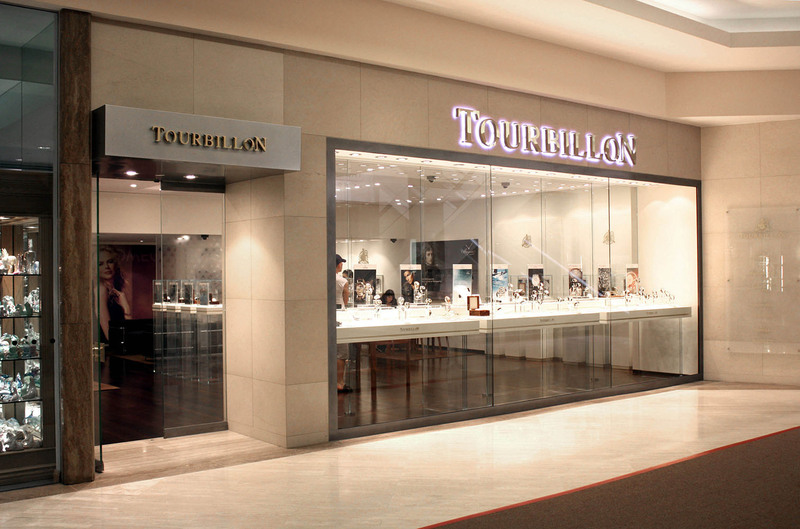 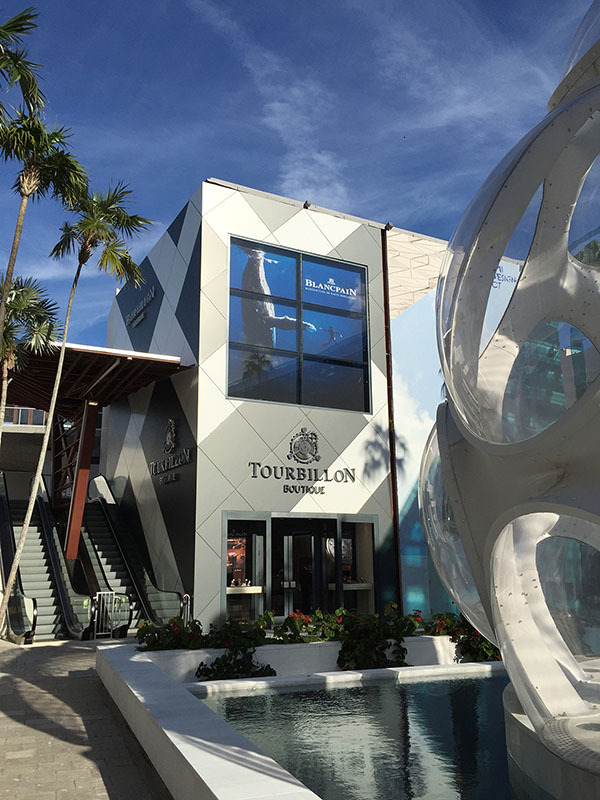 Tempered glass etched with the Tourbillon logo visually separates the spaces while maintaining an open appearance. 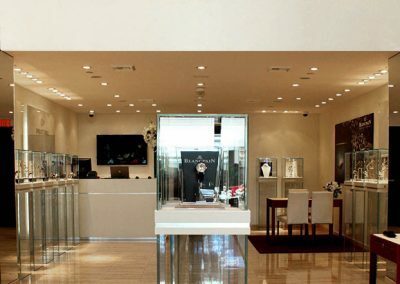 The imported metal halide lighting creates dramatic illumination to showcase the timepieces and make them sparkle. 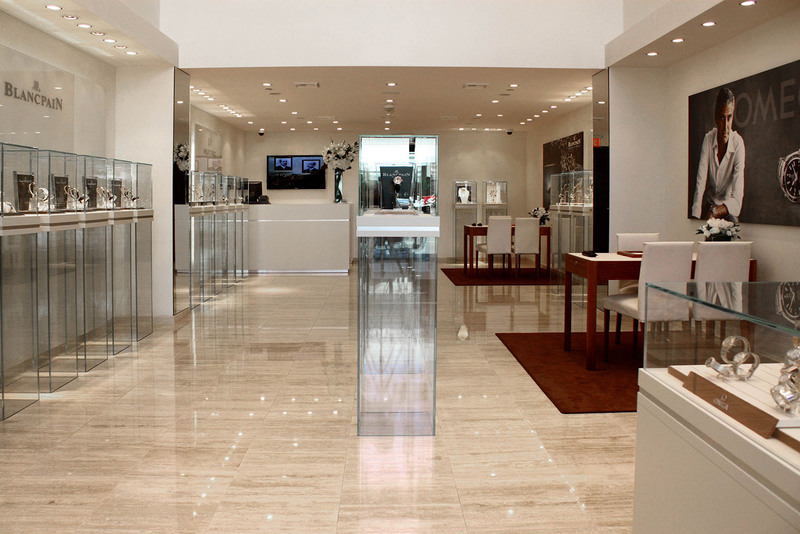 Seating areas are appointed with mid-century modern furnishings and plasma televisions. 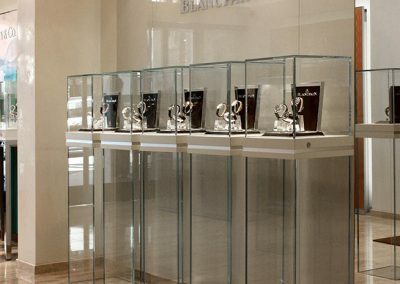 An important part of each store is the exposed watchmaker’s room which allows the customer to see the inner workings of the expensive watches. 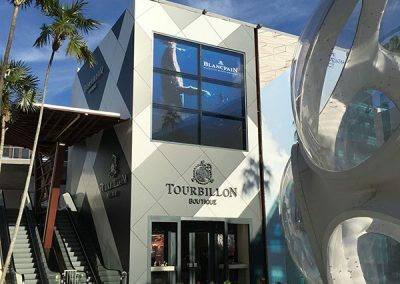 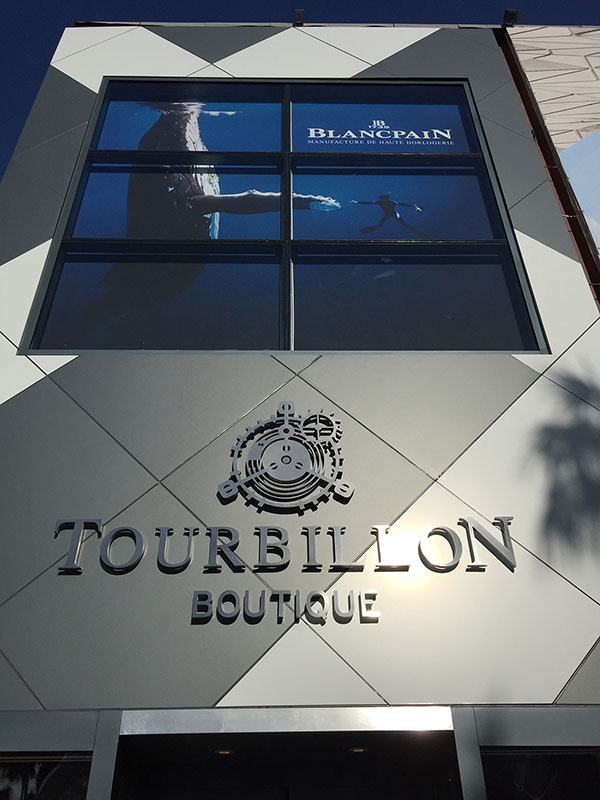 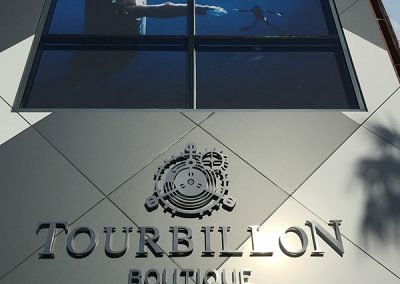 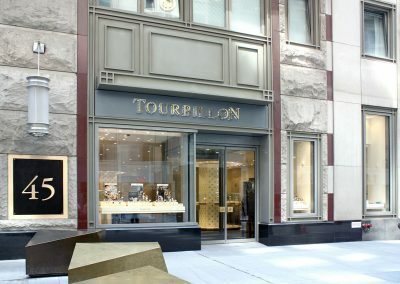 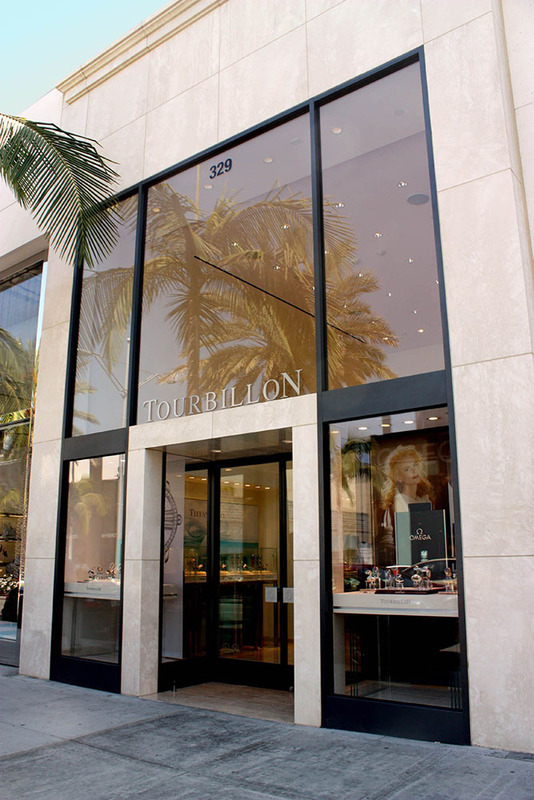 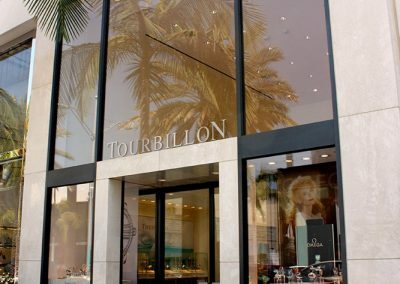 Gruen Associates has also worked on over 10 other Tourbillon locations in Costa Mesa, Chevy Chase, Chicago, Dallas, Houston, Las Vegas, Manhattan, San Francisco, Seattle, and Short Hills.